Social workers did not do enough to challenge a mother whose two-year-old daughter swallowed a fatal dose of methadone, a report has found. Lucy King waited for two hours after Frankie Hedgecock drank the heroin substitute before calling 999. Instead, she had stayed in their Dover home, messaging friends on Facebook and watching The Jeremy Kyle show. The review said no concerns had been raised over the storage or misuse of methadone at King's home. King, who had been taking methadone "for a number of years", was jailed in April for three and a half years for manslaughter through gross negligence. 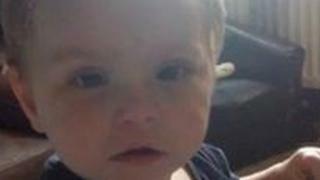 The review by Jane Appleby for the Kent Safeguarding Children Board (KSCB), said Frankie's death could not have been predicted by any agency or individual, but the risks from neglect could have been better identified. The review concluded: "The mother had been prescribed and taking methadone for a number of years without any specific concerns ever being raised regarding safe storage or misuse of the drug. "There was limited challenge to the mother to change her lifestyle, and her ongoing engagement with a drug treatment programme (methadone) was seen as a positive. This resulted in professionals being over optimistic." Missed health appointments had not been challenged as signs of neglect, and concerns of neighbours were given "insufficient weight", Ms Appleby reported. The professionals involved had all "wanted the best for the family", however this resulted in the focus being on the parents rather than the needs of Frankie, the review concluded. Gill Rigg, the chairman of KSCB said the agencies involved in the case had drawn up action plans to improve the way they work. The agencies will now be overseen by the KSCB to make sure action is taken when needed, she said.